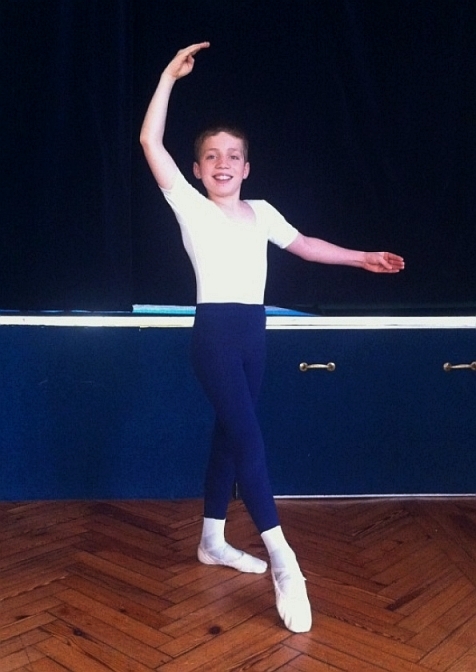 A budding dancer from Goring has made his way to the Royal Opera House to dance with the Royal Ballet. Andrew Glick, of Aldsworth Avenue, is currently performing in the Christmas production of The Sleeping Beauty as a “fairy page”. The 10-year-old has been attending dance classes at the Regnante School of Performing Arts, which holds classes across Worthing, for the past three years. 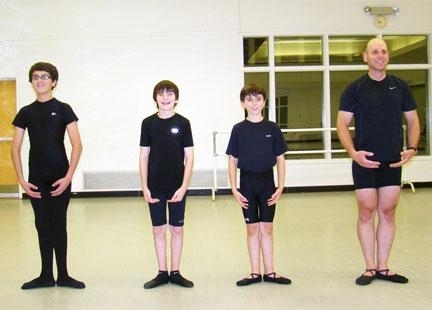 Since then Andrew has beaten hundreds of boys to become a junior associate of the Royal Ballet, attending classes every Saturday with some of the world’s leading ballet teachers. After auditioning for the part in September, Andrew has already taken part in two performances at the Royal Opera House, and will continue to dance the part until Christmas. © 2011 Johnston Publishing Ltd.
Where will young, multitalented, Tony Award–winning David Alvarez go after he leaves the Broadway run of Billy Elliot? You can rest assured it won’t be Disney World. Or another Broadway show. “David will return to ballet,” asserts Billy Elliot associate choreographer Kate Dunn. Based on the eponymous British film released in 2000, Billy Elliot boasts a rocking score by British pop icon Elton John and tells the poignant tale of a young British boy from a coal mining town who dreams of becoming a ballet dancer. So it would stand to reason that the production would seek to cast young ballet dancers in the role of Billy. But when they envisioned the musical, the show’s producers knew that for the theater’s seats to be filled nightly, the choreography had to stretch far beyond ballet. With that in mind, choreographer Peter Darling and his associate, Dunn, conducted a nationwide search for three boys with ballet training who could also quickly master tap, jazz, stage combat, and gymnastics, plus learn to sing and act using a Geordie (northern England) accent. The show’s producers, however, needed to be sure. Alvarez was one of hundreds of candidates; an exhaustive search was conducted at dance schools and companies nationwide. A first cut yielding approximately 30 boys was soon whittled down to 15, who then underwent one intense week of acting, dancing, gymnastics, singing and dialect training, and assessment. David was already in New York, where the other two boys joined him for the next critical three-month period of integration with the entire cast, as well as acclimation to the Broadway rehearsal process. Nor did Alvarez’ instructors at ABT worry that his Broadway commitment would cause his ballet technique to deteriorate. “David is so talented, so intelligent, and his training at ABT/JKO has been so classical, so pure. I have no doubt he will always have our training in his body, and he will always be able to come back to it,” says De Vita. As the show, which opened in November 2008, moves into its second successful year on Broadway (plus a 2010 national tour), its young stars continue rigorous daily training, which Dunn has jocularly titled “The Billy Elliot Maintenance Schedule.” It includes study of acting, singing, dialect training, acrobatics, tap, jazz, and stage movement—as well as ballet. Alvarez is proud of his Tony Award, but his eyes really light up when you ask him about his favorite ballets. “Giselle and Sleeping Beauty,” he responds. His favorite male dancer? No surprise here: “Fernando Bujones!” whom the young dancer is already said to physically and technically resemble. J.P. Viernes’ sparkle-eyed smile and electrifying moves have lit up productions with the Shely Pack Dancers and Coastal Repertory Theatre, Dance Masters of America competitions. He has leaped his way to national titles. Billy, the son of a North England miner, stumbles on ballet while on his way to a boxing class, falls in love with the art and must persuade his reticent father to allow him to pursue that love. Based on an international hit film, written by Lee Hall with rocker Elton John contributing what the New York Post calls “his best score yet,” the musical took 10 Tony Awards, including Best Musical. He learned of auditions for Billy from dance teacher Shely Pack-Manning. Her studio, like many around the country, had posted fliers from “Billy Elliot” producers, seeking boys under five feet tall, age 9 to 12, who could dance. She worked with him on how to fit memories of disagreements with schoolmates into onstage moments such as when Billy clashes with peers. She also talked to him about how to prevent injuries while dancing on the “raked” stage, which gradually rises in level. He studied ballet and tap, a little jazz and gymnastics, and can name Junior Mr. Dance of America 2009 with Dance Masters of America as his most recent title. His training did not hint at the maze of auditions to come. The first hurdle was a March, 2007 audition in San Francisco. That resulted in a callback, in which Viernes found himself one of 45 boys vying for the part. That May, he and his mother were called to Los Angeles for a second audition. The family finally got a call in October 2008 from “Billy Elliot” producers offering to bring them to New York for the next step in the process. That was followed by another audition in April 2009. At that point, Viernes, now under serious consideration, was invited to the informal-sounding but serious “Billy camp” for classes in the show’s choreography and dance styles. Viernes was selected in early August, though an official announcement only went out recently. Then the hard work began: five weeks’ rehearsal in New York beginning in mid-November, home for Christmas in Half Moon Bay and then back Dec. 27 for rehearsal. This show will run simultaneously with the “Billy Elliot” production at the Imperial Theatre in New York. Viernes will play Billy in two shows per week. When not playing Billy, he’ll be a standby and understudy. Besides Billy’s dances, songs, blocking and lines (in the north-England “Geordie” accent,) Viernes is contracted to understudy the roles of Tall Boy and Posh Boy. His day begins with academic tutoring from 9 a.m. to 1 p.m., lunch and four to five hours’ rehearsal with dialect coaching. But except for leaps and twirls as Billy, Viernes, who’s considering a career in science, keeps his feet on the ground. A CROESYCEILOG schoolboy who danced his way to a place at the Royal Ballet Associate programme now plans to study ballet and dance full time at a performing arts school. Alexander Smith, 12, who attends Ysgol Gyfun Gwynllyw School, will audition for Tring School, a specialist performing arts and ballet school near London on March 12 where he hopes to become a full time boarder. In December 2008 the Argus reported Alex had successfully auditioned for the Royal Ballet associate programme in Bristol, where he now attends classical ballet classes fortnightly with Royal Ballet teachers. 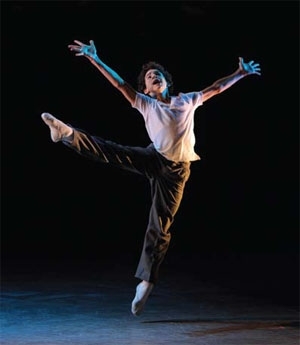 He is taught by Karen Paisey, a former principal dancer with the Royal Ballet company. Alex now hopes to be given the opportunity to star in a Royal Ballet show in London, and associates are often given the chance to dance with the Royal Ballet company, the Birmingham Royal Ballet and other ballet companies. A CWMBRAN schoolboy, who was left devastated when he was unable to fulfil his dream of attending a top performing arts school due to a lack of funding, will re-audition for a place in the new year. Thirteen-year-old Alexander Smith, of Croesyceiliog, was due to start as a full time student studying ballet, contemporary and jazz dance, alongside academic subjects at Tring Park School for the Performing Arts, near London, last September. But the pupil at Ysgol Gyfun Gwynllyw, narrowly missing out on a paid scholarship and his family were unable to afford the £28,000 a year fees. His family tried to find a sponsor to help pay for the fees and his dad Richard, 43, raised almost £2,000 towards the school costs after completing a 250-mile sponsored bike ride last year. She said Alexander, who has a sister Eleri, 11, and a brother Carreg, eight, who are also keen dancers, is dedicated to pursuing a dance career and attends monthly boys sessions at Tring Park School. Alexander, who started danced when he was six, is now looking forward to auditioning again for the school in February with the hope of winning a paid scholarship. A nine-year-old Winton boy is dancing all the way to the bank after he was awarded a British Ballet Organisation junior scholarship. Damen Axtens was awarded the scholarship this month after taking part in ballet exams last month. The money was to be used to further his ballet studies. Damen, whose sister and brother are also dancers, said he was thrilled with the scholarship. “It’s cool,” he said. Damen, who has been learning ballet since he was 4, said he loved dancing and hoped to pursue it as a career. He has been a student at Scandrett Dance for the past two years. Teacher Glenys Scandrett said Damen was a natural dancer and she was proud of his achievements. “He works very hard and he’s very serious about what he does. “He’s naturally good,” Ms Scandrett said.